Appliances become outdated over time, or your appliance may still work but you prefer a newer model. 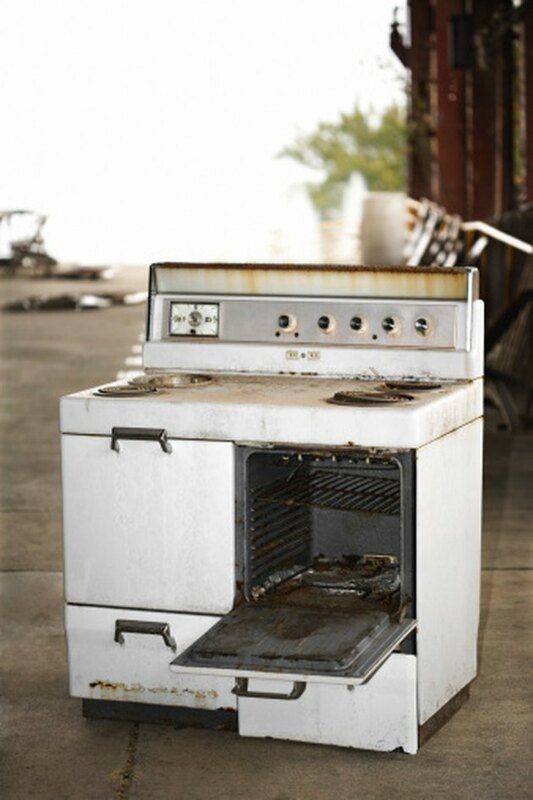 Whether you have an old stove, refrigerator, or washer and dryer set you must figure out how to get rid of them. If the appliances still work they are fairly easy to pass on. If they are of no use any more, you still have a few disposal options. Place a for sale add or free ad in your local newspaper's classified section. If your appliance is still in working condition, someone will most likely haul the appliance away for you and you may even be able to make a bit of money from the deal. Have a yard sale. This allows locals to check out the appliance and determine if it is something they are interested in. Keep in mind they will take it away for you, so give them a fair price when making the sale. List the item on an online classified website. Again, this lets people in your area search and check out listing details and photos of the item. Ask friends and family if they need the appliance. You can pass along working appliances to someone you know, and they will in turn be able to avoid the high prices of brand-new appliances. Dispose of old appliances that are not working. Contact your local trash company and ask if they have a large-item trash day. Typically every few months the company allows customers to put out larger items such as furniture and appliances. If they do not pick the items up, ask if you can take the appliance to them. Often you can take the appliance to your local dump and drop it off, but keep in mind you will be charged a fee for disposal.